Denk je dat jij een ander zou kunnen vermoorden in een oorlog? Op afstand met een geweer beschieten? Met een bajonet in het hart steken? Een granaat naar een ander werpen? Als het om je eigen leven gaat ben je daar vast wel toe in staat, toch? Nou, de onderzoeken na oorlogen over het percentage soldaten dat werkelijk heeft geschoten en gemoord is op z'n minst opmerkelijk te noemen, 2%. Wat oorlog allemaal met je lichaam en hersenen doet is verwonderlijk. En er zijn maar weinig mensen in staat werkelijk iemand te vermoorden, zelfs in een tijd van oorlog. Op afstand wordt het makkelijker, de drones zijn daarom welicht een militaire uitkomst te noemen. 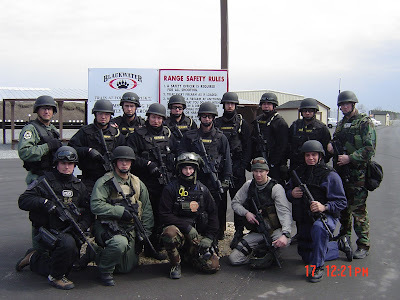 En soldaten zijn tegenwoordig zo te trainen dat ze de capaciteit te moorden wel aan kunnen leren. Maar dat is iets voor een volgend artikel... Ik had al eerder gelezen over de onderzoeken van Dave Grossman en onderstaande documentaire sluit daar op een laagdrempelige wijze op aan. Fascinerend en hoopgevend! 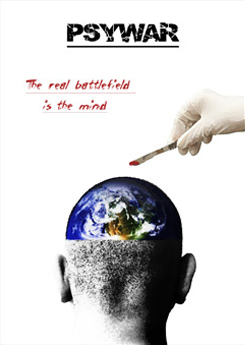 The Truth About Killing (War Documentary) How easy is it to kill in battle? War footage and Hollywood-style dramatisations of battle abound, showing men killing each other. But what is it really like to take someone’s life? Most young men are sure that if it came down to it they could kill for their country. But when British comedian and journalist Grub Smith hears about shocking research that seems to turn accepted thinking on its head, he decides to investigate. To find out the truth, he undergoes infantry training and meets leading military and academic experts. Het boek is Engelstalig, wat voor sommigen spijtig genoeg een drempel vormt. Voor wie dat geen probleem is raad ik aan het boek zelf te kopen en te lezen. Het is voor mij een grote aanvulling in mijn boekenkast en hersenpan. 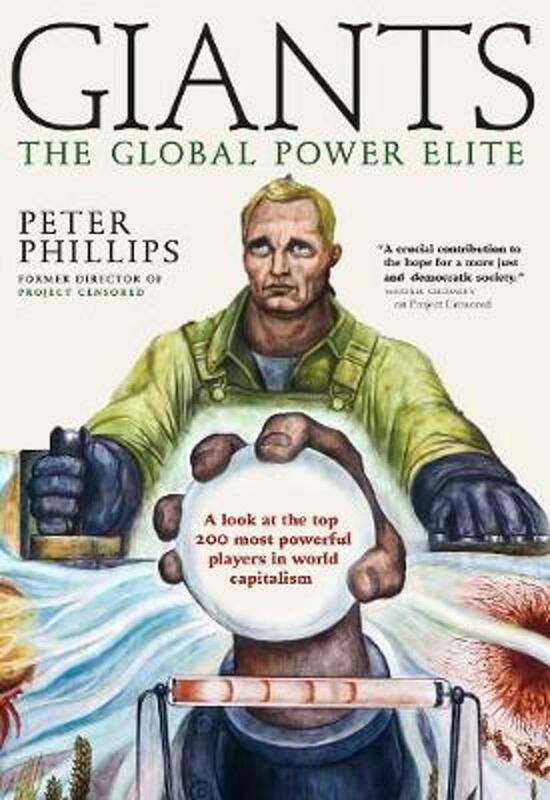 "A look at the top 300 most powerful players in world capitalism, who are at the controls of our economic future. Who holds the purse strings to the majority of the world's wealth? 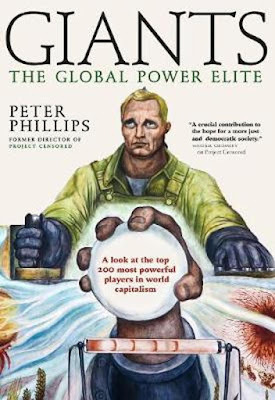 There is a new global elite at the controls of our economic future, and here former Project Censored director and media monitoring sociologist Peter Phillips unveils for the general reader just who these players are. The book includes such power players as Mark Zuckerberg, Bill Gates, Jeff Bezos, Jamie Dimon, and Warren Buffett. As the number of men with as much wealth as half the world fell from sixty-two to just eight between January 2016 and January 2017, according to Oxfam International, fewer than 200 super-connected asset managers at only 17 asset management firms—each with well over a trillion dollars in assets under management—now represent the financial core of the world's transnational capitalist class. Members of the global power elite are the management—the facilitators—of world capitalism, the firewall protecting the capital investment, growth, and debt collection that keeps the status quo from changing. Each chapter in Giants identifies by name the members of this international club of multi-millionaires, their 17 global financial companies—and including NGOs such as the Group of Thirty and the Trilateral Commission—and their transnational military protectors, so the reader, for the first time anywhere, can identify who constitutes this network of influence, where the wealth is concentrated, how it suppresses social movements, and how it can be redistributed for maximum systemic change." Afgelopen weekend ging Abby Martin in gesprek met Peter Phillips over zijn boek. Je krijgt al snel een beeld van de auteur, de inhoud van zijn boek en de achterliggende cijfers. Wederom een beresterke aflevering van The Empire Files! En Phillips heeft al vaker gesproken over zijn boek, en dat is absoluut het kijken en luisteren waard. En zo is er nog meer te vinden, want in de alternatieve media, welke Phillips de werkelijke mainstream media noemt, is er gelukkig wel aandacht voor zijn boek geweest. Waarom is er momenteel "onrust" in Venezuela? Al weken is het onrustig in Venezuela, en oorlog staat te wachten om de hoek. Volgens het Trump regime moet Maduro vertrekken en plaatsmaken voor een Amerikaansgezinde trekpop, en om dat te bereiken liggen alle opties op tafel. Nu zijn er allerlei geopolitieke redenen voor èn tegen op te noemen, maar als we de top 20 bekijken van landen met de grootste oliereserves, hoeven we er volgens mij helemaal geen hoge wiskunde op los te laten waarom de VS staat te trappelen een nieuwe oorlog te beginnen! Met op nummer 1: Venezuela! "With 300,878 million barrels of proven reserves, Venezuela has the largest amount of proven oil reserves in the world. The country's oil is a relatively new discovery. Previously, Saudi Arabia had always held the number one position. The oil sand deposits in Venezuela are similar to those in Canada. Venezuela also boasts plenty of conventional oil deposits. Venezuela's Orinoco tar sands are significantly less viscous than Canada's, so the oil sands there can be extracted using conventional oil extraction methods, giving it a considerable advantage over the Northern American rival in terms of capital requirements and extractions costs." For the last few weeks the world’s focus has been on Venezuela, as Trump pushes for regime change. Almost every media outlet paints the same picture––that Venezuela is a brutal dictatorship and a starving nation, one that demands intervention. And that they finally have a solution to the crisis––a legitimate claim to power by an opposition politician, Juan Guaido. Despite the faux dissent against Trump’s domestic policies, the corporate media has lined up to support his coup in Venezuela. Trump has said a military option is on the table, with coup leader Juan Guiado suggesting he will request it. The latest cynical stunt is weaponizing aid to hold Maduro’s government hostage. In the latest war escalation, the US announced the delivery of so-called “aid” via military aircraft to the border. From Iraq, to Libya to Venezuela, what usually preempts US military intervention is the pretext of a humanitarian crisis. And right now, pretty much everyone speaks with authority about the fact that there is a human rights crisis caused by the Maduro government. What is surprisingly absent from the discourse is testimony from the Human Rights investigator designated by the UN to assess said crisis. Alfred de Zayas was the first UN investigator to go to Venezuela in 21 years. He has written 13 reports for the UN Human Rights Council, but his report on Venezuela was largely ignored. I spoke with Alfred to find out why. This coup is painted as legitimate by the media and political establishment because of the international support from major US allies in Europe and Latin America. But let’s take a quick look around the world to see what that support really looks like. As usual, the African continent is erased from the dialogue. There, 51 countries recognize Maduro. Only one––Morocco––recognizes Guaido. Then there’s Asia and Oceania, where again, only Australia recognizes Guaido. The other 33 nations recognize Maduro. Moving on to the Middle East, where staunch US ally Israel is the only country to recognize Guaido as the legitimate leader. The rest in the region continue to support Maduro’s presidency. Next, the Americas and the Caribbean. Despite 17 countries across the continent recognizing Guaido, 19 countries still support Maduro. While the majority of US allied Latin American powers back Guiado, in the Caribbean, the Bahamas is the only nation to do so. Lastly, Europe. Powers like France, Britain, and Germany have united behind the US to support their puppet in Venezuela. Even so, stark opposition to this coup exists within Europe, including Italy, Greece, Norway, Switzerland and the Vatican. The corporate media has dutifully parroted the Pentagon line that a guy who 80% of Venezuelans had never heard of before was a legitimate leader seeking to restore democracy. So who is Juan Guaido, the lucky 35-year-old man just anointed king? Well, before this coup attempt, Guaido was much better known in elite US circles than he was in his home country of Venezuela. He received graduate degrees from prestigious DC university George Washington, where he studied under a former IMF director, as well as attended private business school in Caracas. Guaido’s roots are in the militant wing of the opposition as an organizer in the violent street protests known as guarimbas. Channeling energy from those protests, he founded right wing opposition party Popular Will, alongside opposition leader Leopoldo Lopez. Lopez has been martyred as a “prisoner of conscience” by Amnesty International and is painted a hero across the Western media, allegedly banished for opposing the regime. In reality, he’s on mere house arrest for leading violent street insurrections that left dozens dead. He was also part of the US backed coup in 2002. Both are deeply connected to US regime change front groups like USAID and the National Endowment for Democracy. By 2010, international agencies were generously pouring up to 50 million dollars per year into funding the Venezuelan opposition movement. With Lopez out of commission, Guaido has been groomed to replace him. Guaido even admitted that there is not a single thing he does without Lopez’s guidance. According the the Wall Street Journal, Guido’s declaration as president was planned by Lopez and just 3 other opposition leaders, 2 of whom are not even in Venezuela–and came as a complete surprise to the rest of his coalition. Even Guaido was reportedly hesitant to make the move, and it was the phone call from Mike Pence the day before that gave him the reassurance he needed. Sounds like a pretty open and shut case of a US/CIA regime change plot. All their rhetoric is about the “restoration of democracy”. So let’s look at that claim. Nothing about this is true. Let’s look at the facts conveniently left out. First, Maduro did not replace the Supreme Court with his own supporters. The terms of 13 Supreme Court justices were up in 2015. According to the Venezuelan constitution, it is the job of the National Assembly to approve new justices. So that’s what they did. The outgoing National Assembly approved judges aligned with their interests–which is exactly what happens in this country. Second, Maduro did not strip the National Assembly of its power. The opposition took over a majority of the National Assembly in 2016. For the first time since Chavismo took power in 1999, the opposition finally had some political power–so one would think they would use it to push all their solutions to the crises they are always talking about! Instead, they used the National Assembly as a tool of sabotage, to make Venezuela’s problems even worse. But while they weren’t punished for that, they ended up being in contempt of court, as Alfred de Zayas explained. Now we get to the Constituent Assembly, widely condemned as a strangely-termed “self-coup.” I was in Venezuela during the run up to the Constituent Assembly election. It was widely considered as a call for peaceful dialogue with the country’s opposition. And it was completely legal. Article 347 of the Constitution allows for the creation of the Constituent Assembly. Here’s the truth: it was absolutely not “stacked with Maduro supporters.” It was a huge democratic process, in which all citizens were eligible to run. Not only was the opposition eligible to run, but highly encouraged by the government to do so. Over 8 million Venezuelans participated in the election of these delegates. But the opposition called for a boycott of the election–and some factions even responded with violence. At least two Chavista candidates were assassinated by opposition militants. And on election day, around 200 polling places were violently attacked to intimidate voters, leading to around 10 deaths. Yes, the Constituent Assembly is now full of socialists–but only because they were the only ones who participated, and were democratically elected by millions! Whether or not you agree with all of these actions, one thing is irrefutable: they are all legal according to the constitution written, developed and voted on by the entire Venezuelan population. I’m not telling you you have to like the Socialist Party––I’m just saying you should respect their constitution. The basis of Guaido’s legitimacy is that there’s no democracy, therefore the sitting president is illegitimate. The funny thing is, the opposition officials making that case got their seats in office through the same election system they say has always been rigged! So every election is stolen, except when they win? The fact is, Venezuela’s voting system has more checks and verifications than most countries. A system of voter cards, finger prints and more make fraud near impossible. Every vote can be audited and verified, as they often are. Their elections are also heavily monitored by independent, international observers. Surprisingly it was the opposition who asked the UN to not send observers to the 2018 election, which could prove alleged voter fraud. The opposition could have actually won that election, but instead they boycotted it–nobody should run and nobody should vote. When opposition leader Henri Falcon disrupted the plan and filed his candidacy, the MUD opposition coalition expelled him, and the White House threatened to sanction him if he didn’t drop out. In the end Maduro won with 6.2 million votes, which is 31 percent of eligible voters. This is the same percentage won by Barack Obama in the 2008 election! Not only that, but the elections were verified by 4 different international organizations, with observers from over a dozen countries. But since the opposition still deems it unfair, they’re now invoking Article 233 of the constitution, saying if Maduro wasn’t really elected there’s a “vacuum of power” that puts them in charge. Article 233 defines a “vacuum of power” as one of these things: 1. the president’s death, resignation, or impeachment; 2. “permanent physical or mental incapacity”; 3. “abandonment of post”; or 4. recall election. Maduro fits none of those definitions. But even if he did, Article 233 clearly states that it’s the Vice President, not the National Assembly president, who would replace him. The entire thing is a concoction that is easily debunked. The urgency of regime change by Washington and Guaido is masked in the notion that Maduro’s security forces are crushing dissent and wantonly executing peaceful protesters. After Guaido declared himself president, he called for huge rallies in the streets of Caracas. Hundreds of thousands as far as the eye could see, heeded the call. These happened entirely peacefully and with no government interference, like I saw first hand in 2017. But certain protests are violent, where armed wings setup flaming street barricades and confront security forces with molotov cocktails, bombs and guns. CBS referenced no evidence for this bold lie and in fact contradicted itself in elsewhere, admitting the UN “believes” 40 died in “different manners” including 12 killed by incidents related to looting. Such blatant misrepresentation of the facts comes as no surprise. Here at Empire Files we have already seen this playbook before, while in Venezuela during the deadly protests in 2017, where over 140 people were killed. The majority of the deaths were caused by opposition protesters, either directly by assassinations, lynchings and other violence, or indirectly by the deadly guarimba barricades that cause many accidents. Facts like these slip through the coverage of an obedient press. The opposition against Maduro is broad and comprised of many factions––moderates, progressives, even some socialists. They oppose Maduro but respect the constitution and democratic process. But the faction currently trying to seize power is the extreme right. Within just 48 hours of declaring himself president, Guaido tried to seize Venezuela’s oil production. 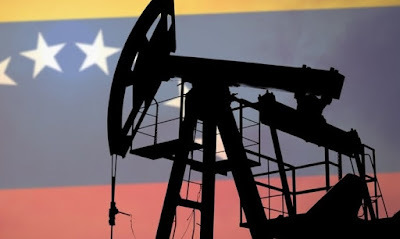 According to S&P Global Platts, before the coup attempt began, Guaido had already drafted plans for mass privatization of the oil. But civil war is sadly not the worst possible scenario here. The reality of a US military attack and invasion of Venezuela is very real. And all under the pretext that the military MUST deliver the very same life-saving medicines they have been blocking from the country for years! 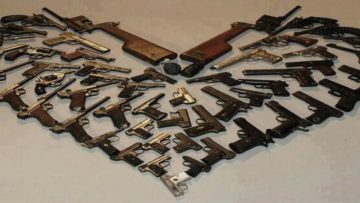 There is no reason to take these as empty threats. John Bolton orchestrated the most catastrophic war of my lifetime. Elliot Abrams facilitated an actual genocide. And Trump is currently carpet bombing the Middle East. We know how far they’re willing to go for Big Oil and the war machine. Potentially millions of lives are at stake. All people in the world who believe in sovereignty and peace have a role to play here: to do everything in our power to stop this from happening, and to shut it down if it starts. 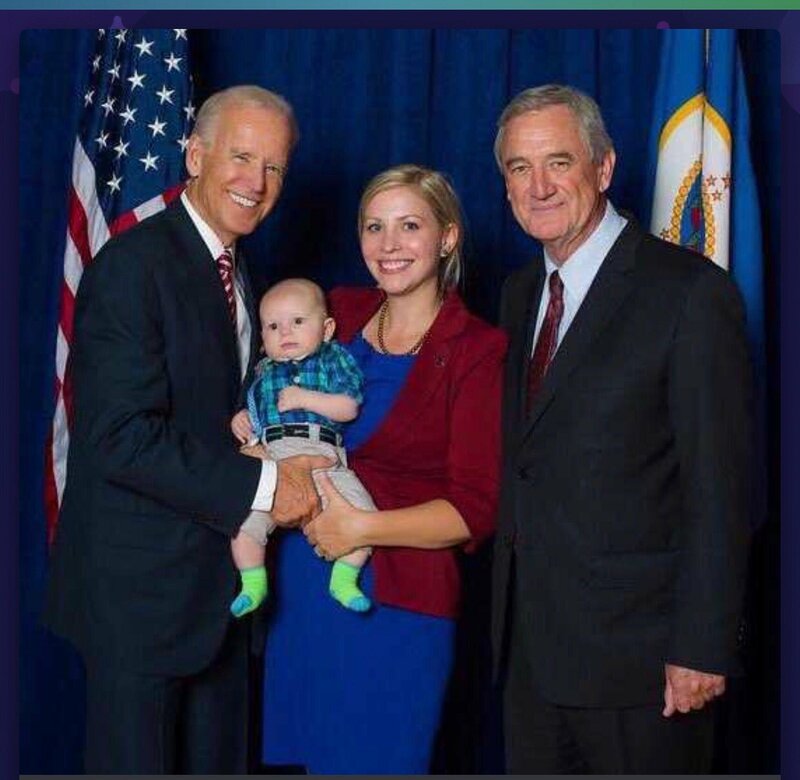 Ineens is mensenliefhebber en knuffelaar Joe Biden in het nieuws omdat hij te ver zou zijn gegaan. Ongewenste kusjes, aanraking en aan het haar van dames ruiken. Iets wat volgens hem zelf natuurlijk niet het geval is. En als je 1 foto of video van een foto-momentje ziet, dan lijkt een beschuldiging van seksueel grensoverschrijdend gedrag wellicht ook te ver te gaan. Maar mensen die zich in het verleden in Pizzagate hebben verdiept kennen de beelden al uit die tijd, een tijd dat de media er nog niet bovenop dook met z'n allen. Beelden die bij mij walging opriepen en een foto als hierboven past perfect in dat beeld. Want al die beelden bij elkaar opgeteld schetsten voor mij een beeld van een vieze oude man met een voorliefde voor kleine kinderen! Nu zag ik laatst een 4-luik over pizzagate, een onderwerp waarover ik in het verleden ook heb gepubliceerd. Die documentaire reeks bracht het onderzoek wat ik in die tijd deed weer naar boven, kindermisbruik door de elite, en dit blijft het meest walgelijk onderwerp om over te publiceren. Een onderwerp waar je eigenlijk niet eens aan wilt denken. Waar volgens mij bijna niemand aan wil denken. Maar dat maakt het onderliggende probleem niet minder urgent. Iemand moet het (blijven) belichten. Ik plaats hieronder alle 4 de delen, want het is een sterke documentaire reeks over een morbide onderwerp dat eigenlijk meer dan een beetje aandacht verdient. De 5-delige documentaire van Metanoia films over de geheime diensten van de Verenigde Staten. Een onmisbaar stuk informatie voor ieders algemene ontwikkeling. Of het nu is om gebeurtenissen uit het verleden te duiden of de meest recente ontwikkelingen in Syrië enigszins op te helderen, dit mag u niet missen. We zullen hier niet uit de doeken doen wat inhoudelijk allemaal aan bod komt, daar is immers de documentaire zelf voor, om te kijken. Plezier kan ik u met dit zwarte pareltje niet wensen, maar u zult er gegarandeerd iets van opsteken. Wilt u wel graag tevoren lezen over het hoe en wat, dan raad ik u de behandeling van deze reeks op Visionair.nl aan. Hier deel 1, 2, 3, 4, 5 en de extra clip. 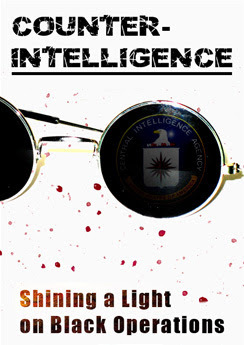 "Een boeiende documentaire serie over de oorsprong en ontwikkeling van de huidige CIA. Het bevat buitengewoon interessante informatie van vooral oud-CIA leden die nu een boekje open doen over hoe het controle netwerk op het hoogste niveau functioneert. Werkelijk een bijzonder ontluisterende en belangrijke documentaire serie." Psywar from S DN on Vimeo. MH17: OVV is NIET onafhankelijk! Interview met Wim Dankbaar - auteur van "Het Vaatstra Complot"
Blijft RTL Nieuws zwijgen over frustratie MH17-rechtszaak Nederlandse nabestaande?